We’re committed to provide personalized quality orthopaedic service in an effort to enhance the orthopaedic lifestyle of those we service. As the staff and physicians of Orthopaedic Associates of Wausau, we strive to be recognized as the providers of choice for orthopaedic services in our community, unmatched in quality and concern for our patients. Founded in 2001 by Dr.’s Sutherland, Seybold and Tanner, Orthopaedic Associates of Wausau, S.C. strives to provide quality orthopaedic care for the North Central WI area. In order to meet the needs of the community, the group has grown to include 4 other surgeons. Dr. Rick Abuzzahab provides general orthopaedic care. Dr. Jeremy Russell provides general orthopaedic care and is fellowship trained in trauma surgery. Dr. Wayne Brearley and Dr. Scott Murch are both fellowship trained Upper Exremity Specialists. 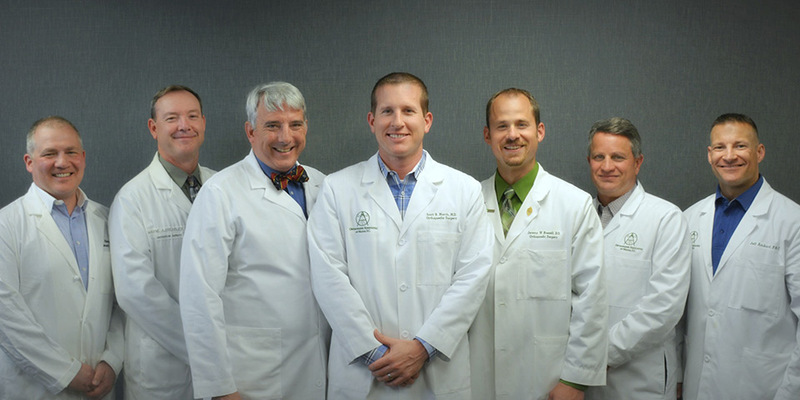 The Board Certified surgeons of Orthopaedic Associates of Wausau (OAW) care for injuries and illnesses that affect your bones, joints, ligaments, tendons, muscles and nerves. We are here to care for your sprains, strains, fractures, tendonitis, bursitis and arthritis. We perform arthroscopic surgery and have extensive experience in hip, knee (total and partial), shoulder and elbow replacement surgery. Dr. Brearley and Dr. Murch are our Board Certified Hand Specialists that have trained extensively in hand, wrist, elbow, and shoulder conditions. "Carly, the Triage Nurse, got back to so quickly and addressed all of my concerns. It made my day!"